Ever wished that you could get quick access to electronic information for a truck that has been re-routed to your facility? 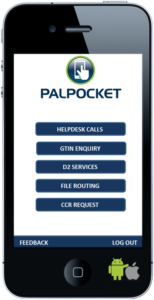 By making use of Paltrack’s latest innovative mobile solution, PALPOCKET, it is now possible to access and re-route any PO file that has been serviced by D2. 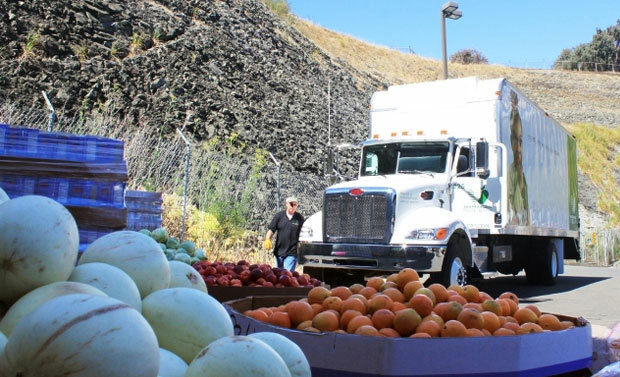 All that are needed is the PO file name, document and truck registration numbers. Too often trucks arrive at their destination without the electronic PO file information being available. In addition to the performance overhead, capture risk and cost associated with processing the receipt from scratch, some critical information is now only transferable to the receiver via electronic PO files. The demands on the receiver with regards to phyto-sanitary controls, linked to the requirements from PPECB related to addendums; necessitates the use of electronic information in transfer situations. The sender specifying the destination incorrectly on dispatch. The truck being re-routed while in transit. The truck registration number being incorrectly recorded. A communication breakdown between sender and receiver. All the above contributes to a situation where the truck physically arrives at its’ destination without the electronic information for that truck being available at the destination. PALPOCKET has specifically been designed to alleviate points 1 and 2 mentioned above. Paltrack CCR access – Query a GTIN by scanning it or check if a GTIN has been registered for a product specification. Paltrack D2 access – Trace a transmission file by name to find out what has happened to it. Find out where the bottle necks or delays are. Available on Android and iOS platforms. D2 is a managed Paltrack message switching service that facilitates the flow of electronic data between various activity points in the logistical chain. This information is timeously provided to stakeholders to facilitate operational activities and support decision making. Paltrack’s CCR (Central Code Registration) service offers a mechanism to centrally register and maintain master data used throughout the industry. The emphasis is on registering codes once and automated distribution to all thereafter. Dedicated Paltrack staff is allocated to registering industry standard codes on a central system. The aim with this service is to try to ensure that all parties use the same code for the same product and that these codes are available in transactional systems to validate recorded information against.